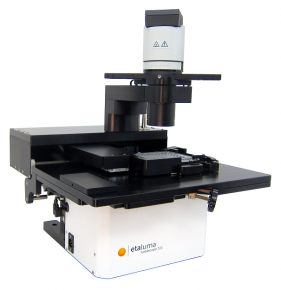 BioFlux Systems are microfluidic flow cell arrays capable of processing up to 96 samples, imultaneously, in a convenient microwell plate format. 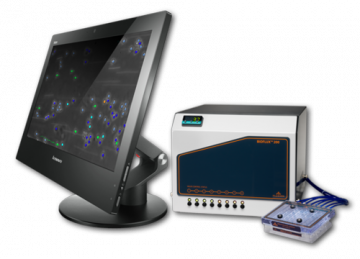 To study of life in motion, to measure biological events not in the stagnant confines of a petri dish but in the dynamic environment of a flow cell, BioFlux Touch makes possible to program and control your microfluidic assays by means of a convenient touch interface, freeing up valuable bench space and minimizing contamination of your work environment. 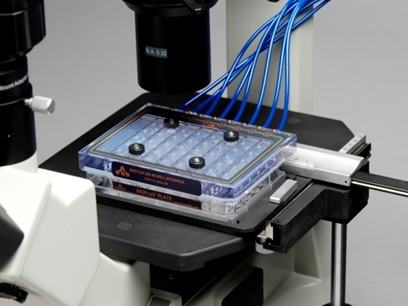 The compact nature of the system allows it to fit inside a hood or take up minimal bench space. 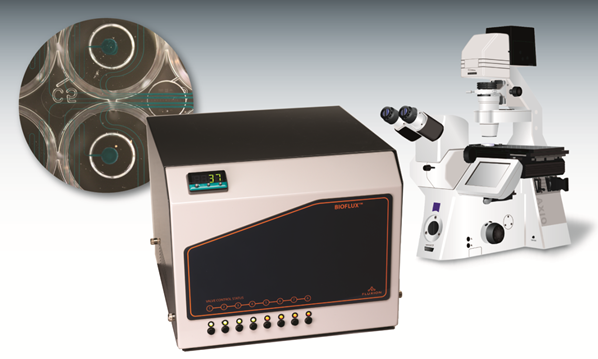 The intuitive touch enabled software provides a simple way to control multiple experiments at once. 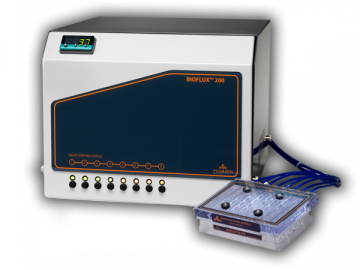 Whether your work concerns the adhesive properties of endothelia, the interactions between pathogens and host cells, the mechanisms of clot formation or the search for anti-biofilm agents, BioFlux Touch is your flow cell platform of choice.